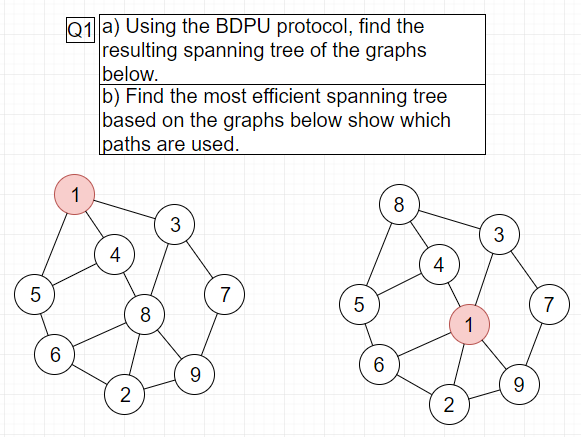 Exam 1: Use the BDPU protocol to find spanning trees and which is more efficient. 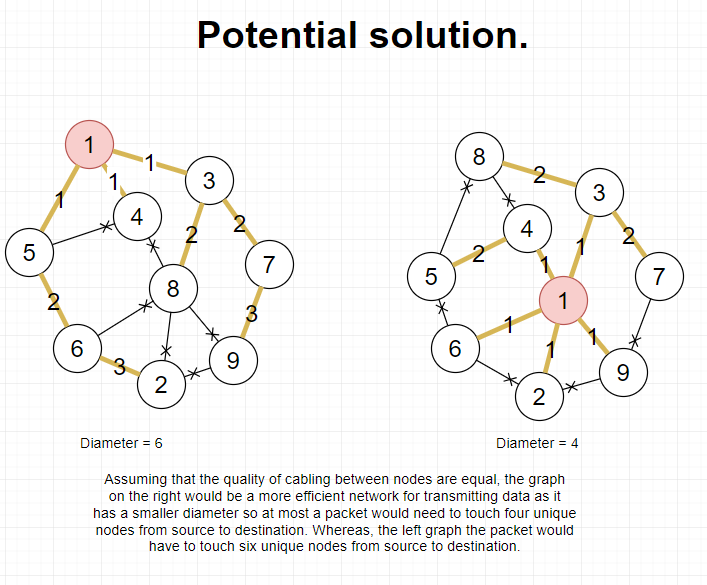 This is a great answer! Thanks!